Jak na to v angličtině… Vše kolem veškerých karburátorů Weber. Manuál obsahuje ladění, tipy a obnovu informací. An indispensable book about the Weber carburetors goes. This Eng elstalige book discusses the operation, disassembly, assembly, tu tion, the most common problems, technical data etc. 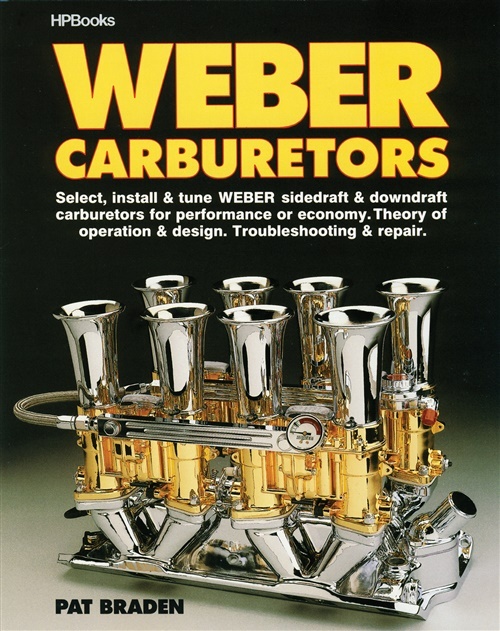 of most types Weber carburetor.